When Carbon Resources contacted me, it had been about 8 years since their brochure had been produced. It was well past time for a fresh design for their most important center piece of marketing collateral. The previous brochure’s look and feel was stale, some information was outdated, and of course it was missing new products. The new brochure is clean and organized, brand focused, and packs in even more information than the old version. 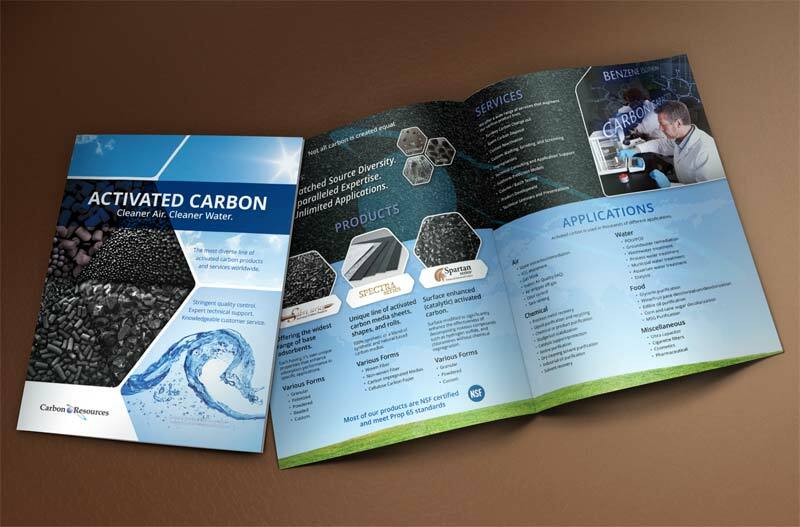 My friends at Carbon Resources are now happy and proud to distribute their new brochure at trade shows, direct mail, and client meetings.